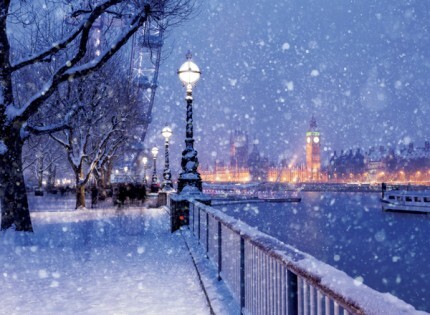 The snow falls gently in this stunning design which features some of London's most iconic landmarks, fromt the London Eye to the Houses of Parliament. Personalised London themed Christmas cards (CN0248) Suitable for corporate, business, company or personal Christmas use. Snowy Jubilee Christmas cards are finished with gloss and are printed in the UK by Christmas Connections.